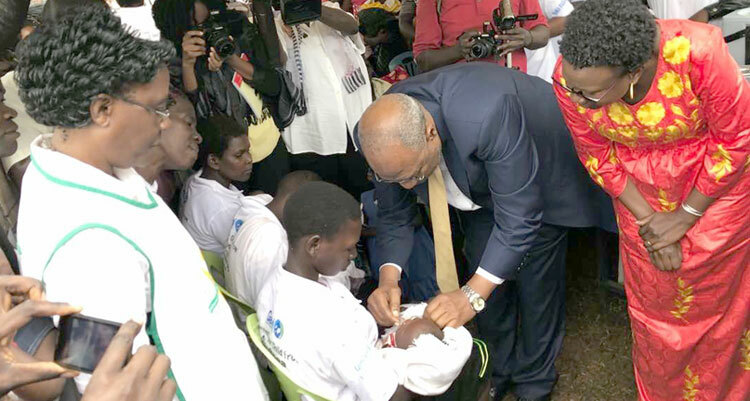 The Government of Uganda has completed the distribution of the new rotavirus vaccines to all health facilities in the country where routine immunization takes place, the head of the Uganda National Expanded Programme for Immunization (UNEPI) has said. Dr. Bernard Toliva Opa, the Head of UNEPI said that this week’s launch of the Rota Virus vaccination exercise in Buikwe was only a symbolic exercise since the vaccines had been distributed to all government and other centers where routine vaccination takes place. Dr. Opa added that the ministry has also concluded training of health officers to implement the immunization and sensitization exercise. Dr. Toliva said that the RotaVirus is usually most severe in children under one year because their bodies have not yet developed the immunity to protect them against the virus. As a result of the infection, many get easily dehydrated and die as a result. But with the invention of the RotaVirus vaccine, health experts have indicated that children be given two oral doses of the RotaVirus vaccine, the first one at 6 weeks and another one four weeks later (at the 10th week). 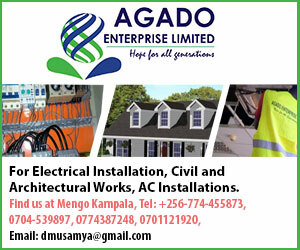 Because the vaccine is being introduced in Uganda for the first time, the ministry has advised parents to have all children under one year immunized since they are still in the most-at-risk stage. The long-awaited launch of the virus took place in Buikwe district thanks to financial support from WHO and the Global Alliance for Vaccine Initiative (GAVI). “An unhealthy labour force cannot support effective national production. The government will continue with programmes aimed at improving the health of our people that is why I am delighted to officiate at the launching of the Rota Virus diarrhea immunization,” Museveni added. While improved access to clean water and better sanitation and hygiene practices are vital to preventing most diarrhea cases, they have done little to disrupt the rotavirus infection. Globally, according to the WHO, an estimated 450,000 children under five years of age die each year from vaccine preventable rotavirus infections. Diarrhea is among the top ten causes of morbidity in Uganda, with rotavirus being responsible for about 40% of all diarrheal cases.